THE Scarness beach front will be taken over by thousands of young revellers on Australia Day thanks to an event invitation that has been spread across Queensland through social networking website Facebook. Event organisers, The Maddest, will host an annual beach party on the Scarness beach to celebrate the release of the triple j Hottest 100 and have so far received more than 980 RSVPs. 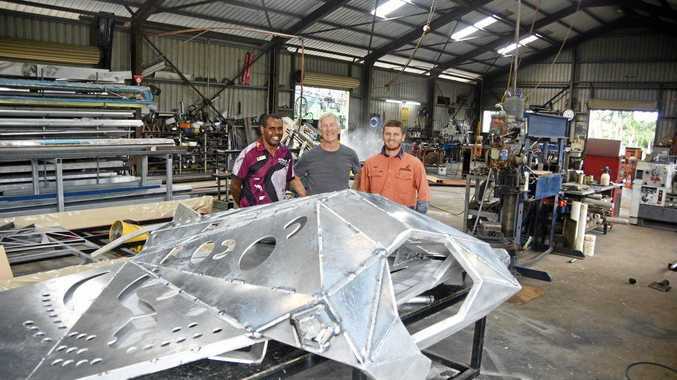 The Brisbane-based company has invited people from across the state, some of whom have indicated they will travel back to Hervey Bay especially for the occasion. More than 1000 people who have been invited through Facebook have still not confirmed if they would attend the event, which last year included burning lounges. A further 370 people have indicated they might attend. Organisers have told wannabe revellers to clean up after themselves after last year's Australia Day events saw the beach covered in bottles and cartons. The lesson may have been learnt as this year a large rubbish trailer will be available. Partygoers have even been told to bring their own garbage bag to clean up after the day.